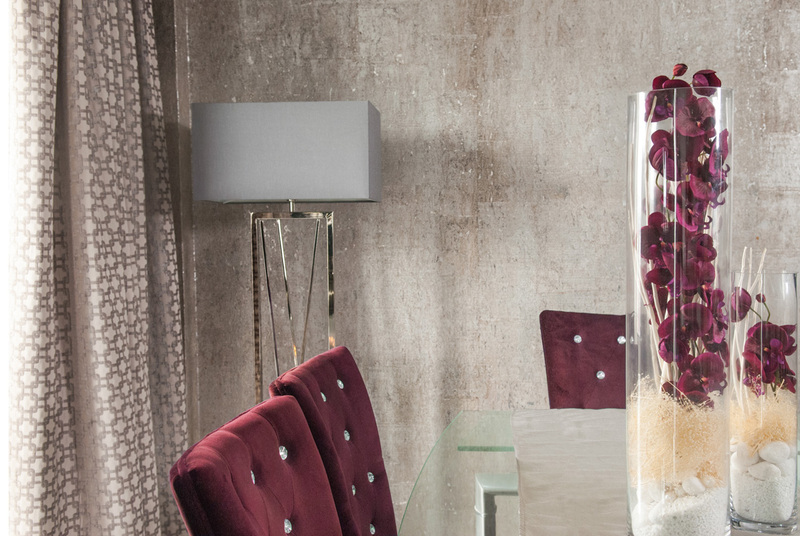 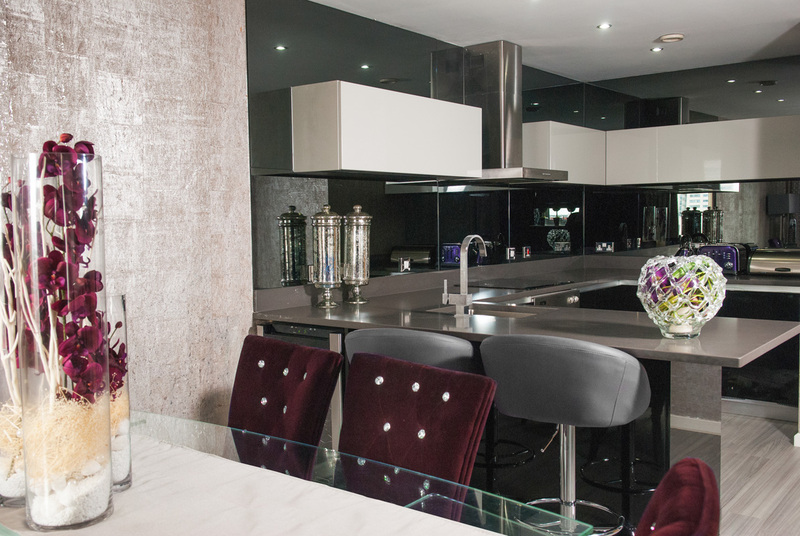 To give the city centre penthouse the luxurious look it needed, Tareen and Tareen came up with ideas and schemes within the client’s budget. 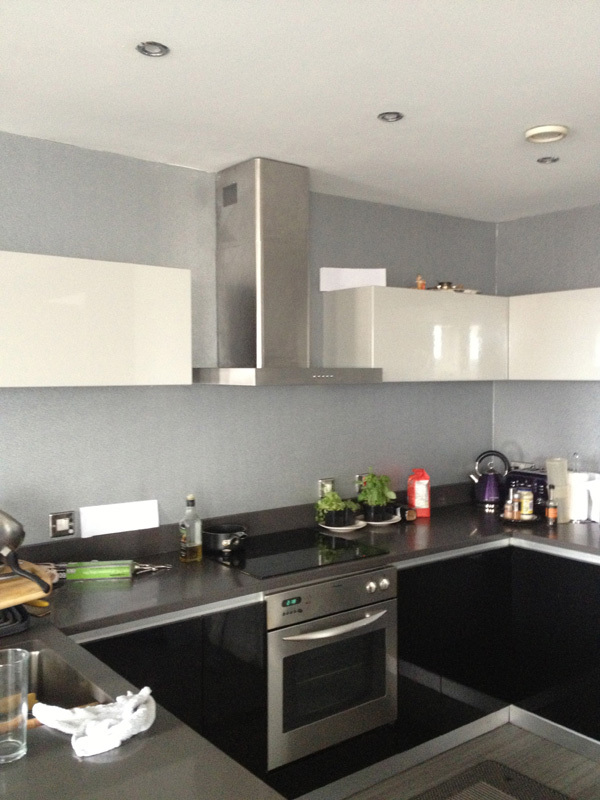 A bespoke smoked mirror was ordered for the kitchen splash-backs to open the space and give the designer kitchen a beautiful finishing touch. 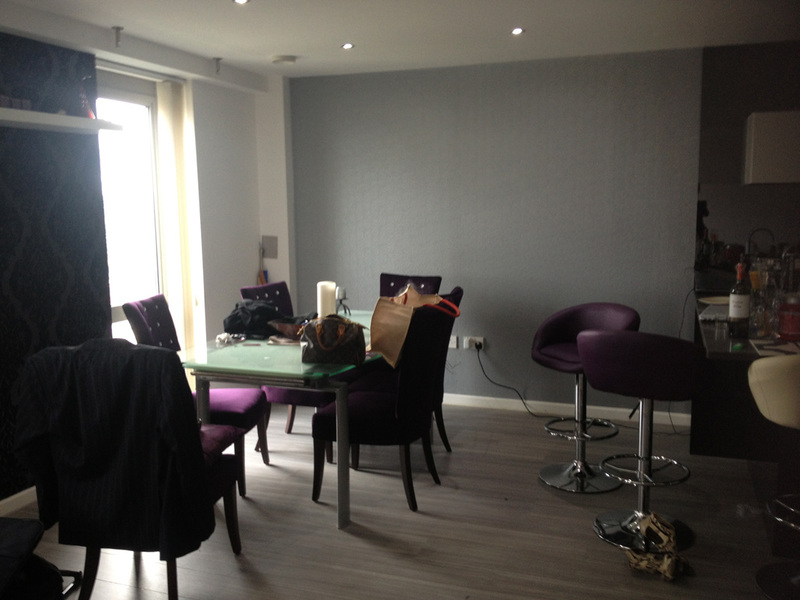 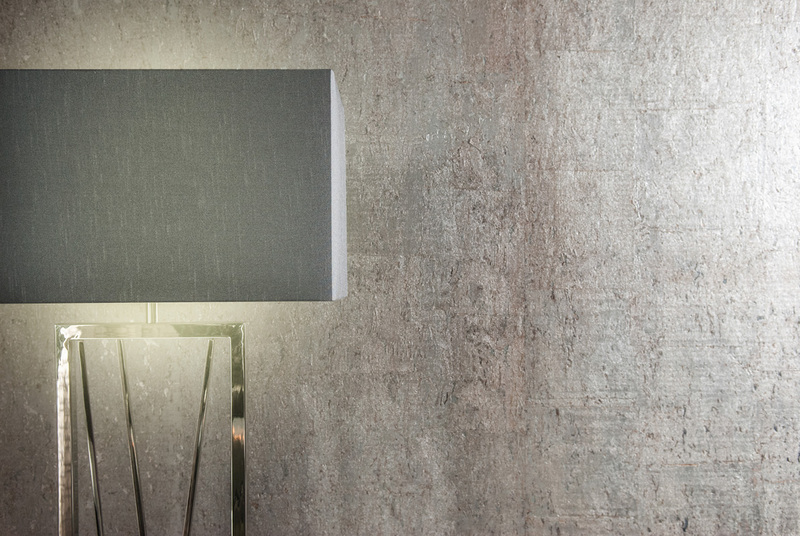 Wallpapers were used around the penthouse to create feature walls. 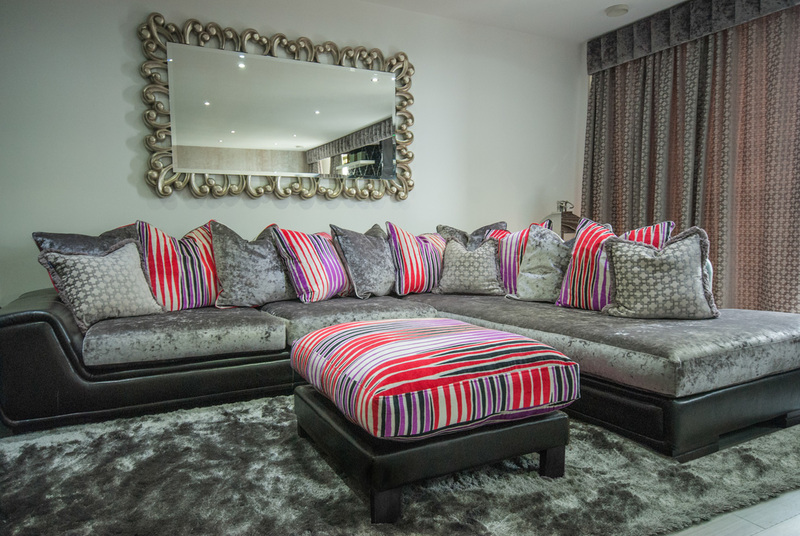 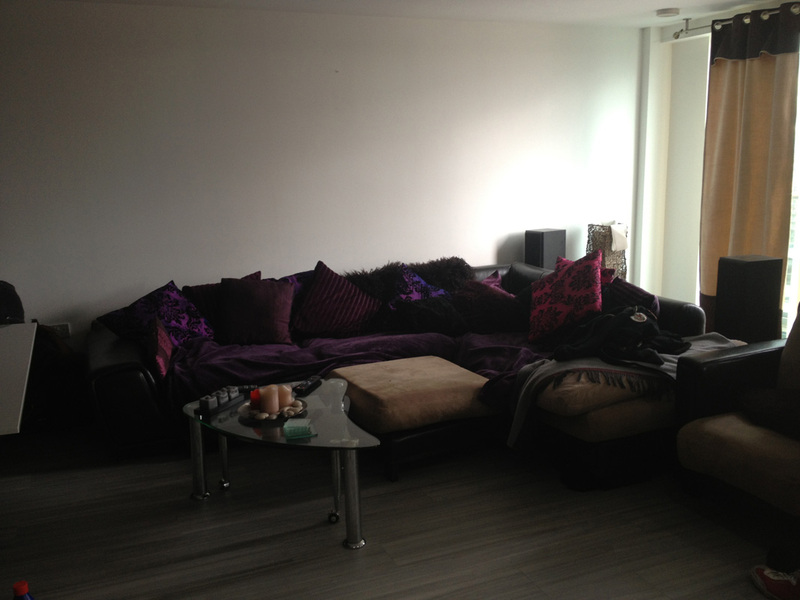 Bespoke pelmets and curtains were sourced by Tareen and Tareen for the living room and master bedroom. 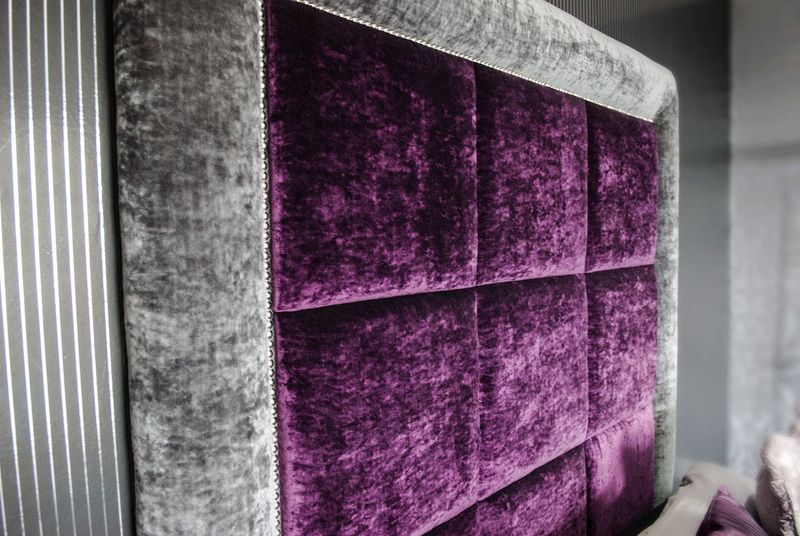 The client’s sofa was re-upholstered, which also helped to keep within their budget. 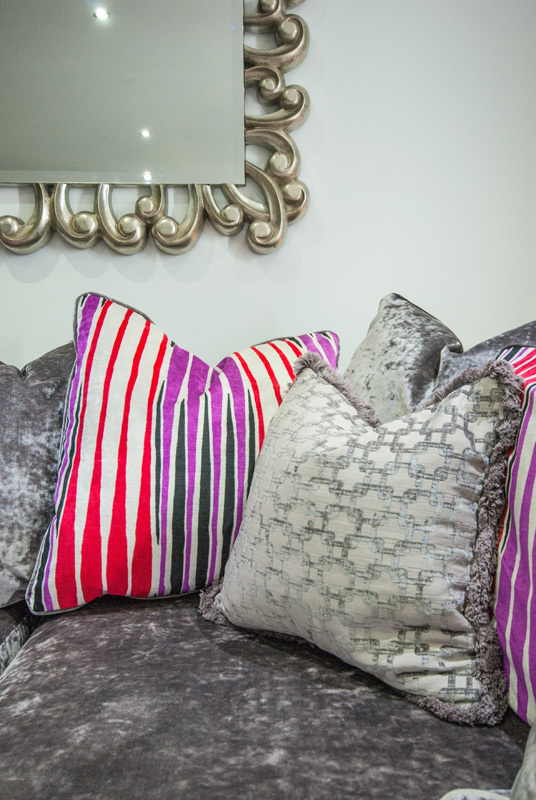 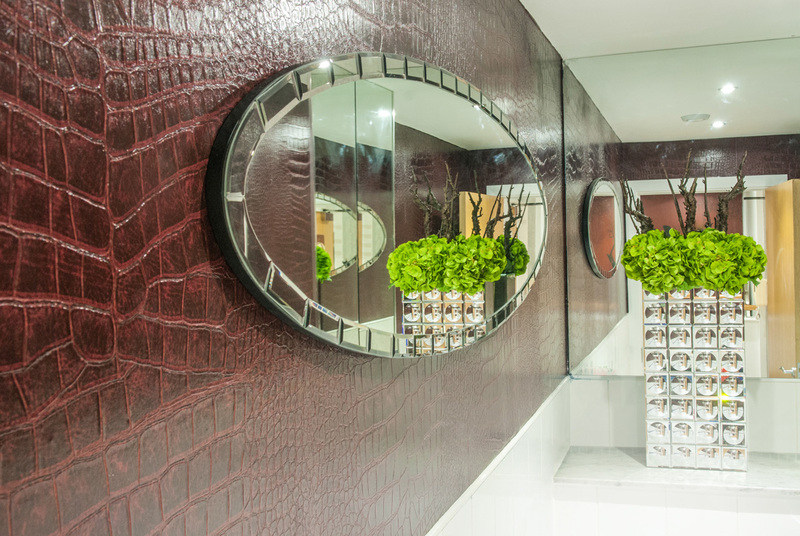 Bespoke accessories were provided by Tareen and Tareen to give that extra glamour to the clients property.